Stabilize the men on the OP so we can spot the wavers and clappers among them and maybe even ID Simmons and Holland, please, if anyone has the time and power. Here's a rough stabilization, which could be better but good enough to watch the ~8 people on the overpass, who don't move over ~1.3 secs (23 frames @ 18 fps). That a good start Jack thank you! The bombshell would be of course, if Holland himself was either waving or clapping, unthinkable or unbelievable as it might seem, I've seen stranger things. Why are we losing sight of the Images between the sprocket holes as the Bell Film footage progresses? These missing images between the sprocket holes would show the grass area running alongside Main St in addition to a portion of Main St itself. This area is important due to there having been Another Individual running in front of the man Bell did capture running Eastward toward Houston St. This "Lead Man" was captured on the Z Film as the JFK Limo sped toward the Triple Underpass, but he is MIA from the Bell Film & the Paschal Film. Could you be referring to the guy Cancelare caught "sitting" in the truck, who is more likely standing to the south of it? No. On the Zapruder Film as the JFK Limo is close to going under the Triple Underpass, 2 guys can be seen in the background running across the grass area between Elm St and Main St. These 2 guys are running East toward Houston St in a close to Single File manner. The trailing runner can also be seen on the Bell Film segment posted on this thread. 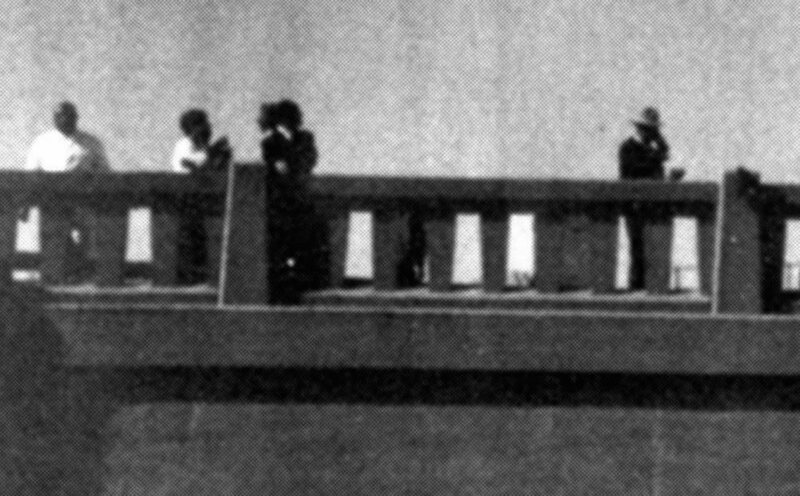 The Lead Runner is visible on the Z Film for only scant seconds. This Lead Runner is Not visible on Any other JFK Assassination Film or Any other JFK Assassination Image period. This gent would have been in front of the man we see on the Bell Film running toward Houston St. This is why I inquired as to why the area between the sprocket holes slowly Vanishes on the Bell Film segment posted on this thread. That Lead Runner may have been captured on the Missing Footage between the sprocket holes on the Bell Film.